Expert Safari Planners based in USA help to custom design your safari via e-mail and scheduled phone appointments. Each Safari Professional has a minimum ten-year travel experience in African safaris, having personally visited all regions and luxury lodges recommended to you on the Into Botswana website and catalogs. Fully-inclusive safaris include meals, wine, beverages, guided safari activities, ‘must-do’ excursions, domestic flights, transfers. 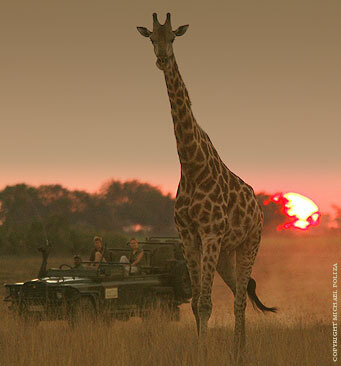 Comprehensive safari information offered prior to reservations. Receive Safari Information Packs by mail, customized with your safari details and destinations visited. Maps, factsheet & brochures included. 24-hour emergency contacts for our USA and Africa offices. All safaris include comprehensive travel insurance coverage. 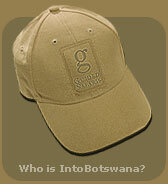 Into Botswana is owned by Guided Safaris, Inc - a safari company based in San Francisco. Botswana is the FINEST safari destination in the world and the news is quickly spreading through travelers coming home with exciting safari stories! If using Frequent flier miles please call your airline desk as soon as possible to secure seats for your travel dates (View our flight section to see which alliances work). If you’d like to purchase air tickets from us, please get in touch now - lack of available seats on flights may determine your dates of travel as seat availability is becoming increasingly difficult - even a year ahead of travel. Obviously, camp availability is also difficult to obtain because most luxury camps are small and intimate with capacities of just 7 rooms, which get filled up very fast. Prime safari season June to October for 2011 is almost sold out - please contact us to secure provisional reservations today. 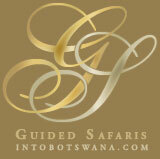 Into Botswana do not offer ‘escorted travel’ or ‘group safaris’. We craft our services exclusively for couples wanting to exploring Africa at their own pace and dates of travel. The advantage with this concept is that you get to create a holiday that perfectly fits your interests and travel requirements. You have the freedom to decide when to go and what to see. Through our website and catalogs we offer you tried and tested ideas for safari itineraries that complement various traveler interests. If you find an itinerary you like, add it to your enquiry and tell us what you’d like altered to your interests. We’ll redesign it for you with updated pricing based on your travel dates. Does this service cost extra? No; unlike most safari companies, Into Botswana do not charge a fee for tailormade travel suggestions. TO CUSTOMIZE YOUR BOTSWANA SAFARI, PLEASE COMPLETE THE FORM BELOW TO PROVIDE OUR SAFARI DESIGN DIVISION WITH A BRIEF IDEA OF YOUR TRAVEL PLANS AND A FEW DETAILS ON YOUR SAFARI REQUIREMENTS AND PREFERENCES. ONCE RECEIVED, YOUR ENQUIRY WILL BE REVIEWED AND SAMPLE SUGGESTIONS CRAFTED BASED ON THE CRITERIA SPECIFIED BELOW. YOUR PERSONAL SAFARI DESIGNER WILL BE IN TOUCH WITH YOU VIA EMAIL WITH A SAMPLE DRAFT OF AN ITINERARY THAT YOU CAN BOTH DISCUSS TOGETHER ON PHONE TO FURTHER CUSTOMIZE TO YOUR TASTES. WE LOOK FORWARD TO HEARING FROM YOU AND HELPING YOU ‘LIVE YOUR SAFARI DREAM’ ! PREFERRED CITY OF DEPARTURE: * If different from home city specified above. WHICH CAMPS / REGIONS WOULD YOU LIKE TO HAVE FEATURED IN YOUR CUSTOM SAFARI? Please select all that apply. Camps that are pre-checked indicate that you had previously added them to your enquiry. Click on Camp name to open a new window displaying additional information on it. PLEASE USE THIS SPACE TO ADD ANY PERSONALIZATION NOTES, ADDITIONAL REQUESTS OR QUESTIONS FOR YOUR PERSONAL SAFARI DESIGNER. YOU MAY ALSO USE THIS SPACE TO INDICATE ANY SPECIAL MEDICAL CONDITIONS. IF YOU ARE TRAVELING WITH MORE THAN ONE COMPANION YOU MAY USE THIS BOX TO NOTIFY US OF THE NUMBER IN YOUR PARTY AND ANY SPECIFIC ROOM REQUIREMENTS YOU MAY HAVE. WE'RE LOOKING FORWARD TO HEARING WHAT YOU HAVE IN MIND!